5 important planning details to make sure you have fun at your wedding! Planning your wedding requires a lot of time, blood, sweat, and tears. You think about every little detail, trying to make everything perfect for the guests. You spend so much time working to make sure your big day is memorable and fun for everyone that attends. Here comes the big question though: What about you? 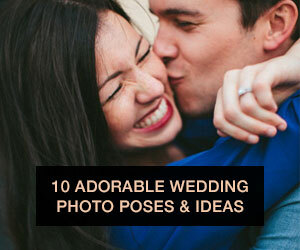 Have you thought about how to make sure you have the most fun and memorable big day? There are many details you need to consider, so you can take a deep breath, relax, and have fun on your wedding day! It seems obvious that you would hope to enjoy every part of your wedding day, but think about the most important details. What makes you the most excited when you think about your wedding? Do you really want time to get down on the dance floor? Or is there a long lost friend attending your wedding that you hope to reconnect with? Do you want a moment to eat quietly and enjoy time with your partner? These are all things you can plan for. Decide which things are the most important and then express that to your fiance and bridal party. Once you are clear on what you want to accomplish it will be easy to schedule time to accommodate your desires; after all, it is your big day! Remember also to consider that once you plan for the details you care the most about, to let go of the other things that aren't turning out exactly how you might have hoped. I know this seems like an obvious one, but amidst all the stress that goes into planning a wedding (and getting married) it can be easily overlooked. Make sure to get a good night's sleep before your big day. You don't want to be groggy and yawning while you recite your vows to your soon to be spouse! Make sure that you have planned and prepared well so that you are stress-free. Stress can take a toll on the body, so you want to keep it to a minimum. The other thing to keep in mind about your health is to make sure you eat a filling, healthy breakfast. There is going to be a lot of things you have to do on the big day, and you want to make sure you have the energy to do it! I know again this seems like a no-brainer, but things will be going by so quickly that the day will be over before you realize you forgot to enjoy yourself. That means remind yourself to take a deep breath as you walk down the aisle, and take it all in. Again, remember to pause to reflect during your toasts and your first dance. These moments will go by so quickly you want to be sure you get the most out of them! Also make sure to plan time with your new spouse. So many people will be pulling you in every direction that you need to make sure you get to spend and enjoy time with them! You can either steal little moments just the two of you, or actually plan 30 minutes where you two hang out by yourselves (perhaps between the ceremony and reception). When it comes to the bridal party, your family members, and even your future spouse, you need to let them know what you expect of them. If you don't want anyone getting drunk before the ceremony make sure that's clear. If you want your parents to put aside their differences for one day (and not fight) that might also be something you need to establish with them. If you have expectations for people in your wedding, definitely tell them. It is better to let someone know what you expect of them, instead of being disappointed in them for something they weren't aware of. Obviously you want to avoid being a bridezilla, but letting people know some of your expectations is okay (and even desired by some people). People don't want to be the reason you didn't enjoy your big day, so they will go out of their way to make sure they fulfill your desires! As a bride-to-be myself, I know this is probably going to be the most challenging detail to accomplish. I want the day to be perfect, so when things out of my control start going wrong, I know it's going to be hard to let it go. I know though, that if I don't let it go, I will let it ruin what otherwise should be the happiest day in my life! So instead of getting cranky about the details going wrong, you should focus on the details that are turning out fantastic, and remember you are marrying the person of your dreams, that is what should matter most! Now if you just consider these 5 things, and take a deep breath, we are sure you will more than enjoy your big day! We hope you have so much fun on your wedding day, and remember you get to spend the rest of your life with a wonderful partner and person! Do any newlyweds have any pointers on how to have fun at your wedding? We would love additional advice if you have any post-wedding secrets!